Are you looking to get an advanced certification from the American Council on Exercise (ACE)? There are so many options that at times they can be confusing which one to choose. 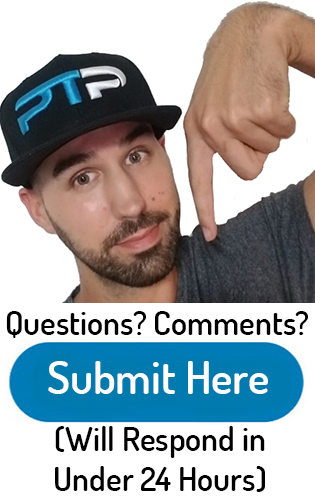 As a personal trainer, what do you want to specialize in? In this article, I will be talking about every single advanced certification as well as the advanced programs created by ACE. By the end of the article, you will have a much better idea of which certification you should pursue to better your career as a personal trainer. Let’s get right into them. 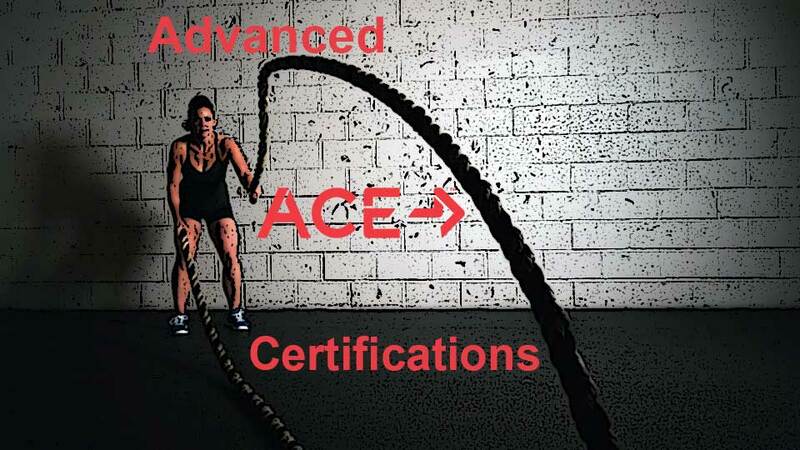 What are the advanced ACE certifications and Programs? Are you just looking to get continuing education credits or do you want to specialize and start working with a particular type of client? In this article, I will be talking about every single advanced certification as well as the advanced programs created by ACE. Overall there are four primary certifications from the American Council on exercise. One of these four certifications is their general CPT certification. This is the only certification I will not be talking about in this article because it is not a specialization certification. I suggest you check out my review on the ACE CPT if you would like to know more about that certification. The three certifications I will be reviewing our the group fitness instructor, the health coach certification as well as the medical exercise specialist certification. There are also six specialist programs that are offered by the American Council on exercise. These six are the ACE senior fitness specialist, ACE weight management specialist, ACE functional training specialist, ACE behavior change specialist, ACE youth fitness specialist and their ACE fitness nutrition specialist program. On the ACE website, they also offer some additional programs that are created by other fitness agencies. I will not be talking about these specialist programs because they are not produced by the American Council on Exercise. You will have a firm understanding of the pros and cons of obtaining each certification or program. You will be able to decide which program is right for you for your advancement as a personal trainer. The ACE group instructor program is one of the more popular advanced certifications on the market. Group exercise training has been exploding over the last decade, and it does not seem to be slowing down anytime soon. Classes from YOGA, to spin to body pump have entirely taken over the United States as a preferred form of exercise. There is no wonder why so many people like group exercise classes. Lots of people don’t like to exercise by themselves. They prefer to have the motivation and energy that their friends bring them. 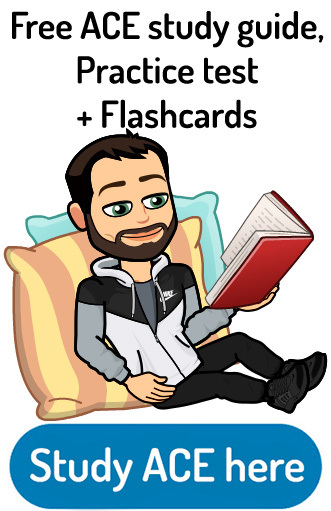 There are tons of things that go into being a group fitness instructor that you didn’t learn in your general CPT personal training certification such as the general ACE CPT or NASM CPT. You will learn how to take control of the class, deliver safe workout sessions to multiple people, exercise selection, music selection and much more. Check out my full review on the ACE group exercise certification for more information. There are also other group exercise programs available. You can check out the top four here. How much does the ACE group fitness cost? There are currently three different packages available for the ACE group instructor certification. These range from $249-$449 depending on what type of study materials you want to be included with the package. This certification is meant for people that love group exercise training. If you would much rather be the leader of the class instead of doing one-on-one personal training, this could be your next advancement as a personal trainer. There are some benefits to group exercise training. You can make more money per session compared to one-on-one training. If you have ten people paying only $10 per group session, that’s $100 in one hour. This a significant increase from your single personal training sessions. Group personal training might not be for you if you prefer the privacy of one-on-one sessions. If you are more of an introvert compared to an extrovert, this might make you uncomfortable being the leader of a class. You can also work more intimately with one-on-one personal training. You can specialized programs, and typically your clients will see much better results because they have a program specifically designed for them. The ACE health coach certification, in my opinion, is a blend of nutrition certification, behavior certification, and fitness certification. This reminds me of lifestyle coaching. It teaches you tactics and strategies to help people get moving and to change their bad habits into healthier ones. The health coach certification aims to provide long-term sustainable solutions and behaviors for your clients so that they can end up living longer and healthier lives. You learn how to facilitate and prepare individuals for changes in their lifestyle. People can get extremely stuck in their daily routines and bad habits. On sticking this ingrained behavior is not nearly as easy as we would like to be. The health coach certification teaches you exactly how to go about doing this. Check out my full review on the ACE health coach certification or my complete guide on how to start off as a health coach. How much does the ACE health coach certification cost? Currently, there are two different prices for the ace health coach certification. The premium edition costs $599. The Standard Edition costs $549. The more expensive plan offers a payment option where you can finance your certification. It also provides some additional study material that is helpful towards grasping the knowledge and passing the test. I like to call the Health coach certifications, pre-personal training certifications. Your typical clients of personal training already have some self-motivation and good habits to get into the gym and work out with you. Health coaching is for people that are stuck in a rut and need to be dragged out of it. If you know plenty of individuals that need help like this, this certification might be perfect for you. If you are already working with generally healthy individuals that have a decent habit, this might not be the specialization for you. For example, if you are working with athletes or young adults that want to focus on peak performance training. This type of advanced certification would not help them too much because they already have good habits. The ACE medical exercise specialist certification lets you empower people that have chronic injuries or illnesses towards living a more comfortable and healthy life through movement. The goal of this program is to help your clients alleviate pain and symptoms that they suffer from with their chronic conditions. It also gives you insight into how you can stop this pain from occurring altogether. If you are looking to go down this route, you will be working with many allied health professionals as well as healthcare providers in your development of designed routines. How much does the medical exercise specialist certification cost? Currently, there are two different study packages. The standard package costs $499 whereas the premium package costs $599. The premium access lets you finance your certification and provides more study materials and practice tests to help you along the way. If you work with multiple individuals that have chronic health problems or pain, the medical exercise specialist is a fantastic option. If there are multiple members in your gymnasium or area that are recuperating from a chronic injury, you can open up the market with this specialization certification. On the other end of the spectrum, if you generally work with healthy individuals or there are not too many people with chronic problems that go to your gym, you might want to specialize in another area. Is always wise to specialize in an area where there’s a market for your skills. If you are working with ordinary people, I would focus my energies elsewhere. As the baby boomer population starts to age, there will be more and more senior fitness specialist to optimally train these individuals. There are approximately 10,000 baby boomers that retire every single day in the states. Once retired, they look towards other hobbies and ways to fill their time. Getting started with exercise is one of the primary things that they begin to focus on. This is one of the biggest markets for personal training available to personal trainers today. As a senior fitness specialist, you’ll specialize in clients over 55 years of age. You will learn how to modify your personal training sessions and exercise to help prevent deterioration of muscles, preserve bone density and increase their overall quality of life. How much does the ACE senior fitness specialist certification cost? There are currently two payment options, the first one costs $496 and includes a digital copy of the textbook as well as a hard copy. The standard version only cost $399 and only consists of an electronic copy of the book. This certification is meant for individuals who have a large market for people over the age of 55. A simple test you should do is to look around your gym and estimate how many people are over 55. If you notice that there are a lot of individuals of this age, this could be a massive market for your personal training career. If you are already working with individuals over 55, the senior fitness specialist certification will give you a much more in-depth knowledge of the emotional, social and physical aspects that your clients deal with and how you can modify your workout routines to accommodate them. If you generally work with younger clients or middle-aged clients, this knowledge will not apply to your client base as well. You would be better off earning a nutrition certification or performance enhancement certification. The population of overweight and obese individuals in the United States has been increasing for decades now. Approximately $33 billion is spent every single year on weight loss products. There is a significant need for personal trainers and weight loss experts to help combat this epidemic. The ACE weight management specialist certification is a fantastic option for individuals that primarily work with are overweight and obese individuals. With the ace weight management specialization program, you will gain the knowledge needed to help clients lose weight through behavior changing strategies, nutrition, and exercise. You will gain insight into the psyche of clients that are overweight or obese. You will learn how to relate to the problems they are suffering, offered vice and create perfect weight loss plans for them individually. How much does the ACE weight management program cost? The weight management program currently costs $399. If you are currently working with a significant amount of overweight or obese individuals, the knowledge from the weight management program will be extremely beneficial to you and your clients. If you are working in an area that has a significant amount of overweight individuals, you can offer your specialized weight loss services to them. In multiple cities in the United States, there is a huge market for weight loss specialist. If you are working typically with healthy individuals that do not have a body mass index that indicates them as overweight, a different specialization would be a better option. Over the last decade, functional training has become a significant part of the vocabulary of personal trainers. Effective functional training can help a wide variety of clientele from patients that are rehabbing all the way to professional athletes. Functional training taps into the ability to increase joint stability and balance in all planes of movement. It comes down to moving more efficiently. This can improve sports performance, activities of daily life and help prevent all types of injuries. As a functional training specialist, you’ll learn how to assess lousy movement patterns of your clients and address those concerns so that they can perform better. You will help increase your client’s stability and mobility so that they can do functional movements efficiently and challenge their bodies without getting injured. How much does the functional training specialist program cost? The cost for the functional training specialist program is currently $399. The functional training specialist program was designed for fitness professionals who have a desire to learn about efficient movement. This range of movement efficiency can range from athletes who want a more stable core to perform better, to elderly adults that need to focus on stability training to efficiently move pain-free on a day-to-day basis. This program and the knowledge you will learn from it has tons of application purposes. This program might not be perfect for somebody that has a different direction that they want to take their personal training career. What I mean by this is that the concepts in this certification lightly applied to almost every single personal training client. But on the one hand, if you want to get into sports performance, a pure sports performance certification is better for you. If you want to get into corrective exercise, a pure corrective exercise certification is better for you then the functional training certification. Functional training does Upon both of these practices but does not completely cover one or the other. The ACE behavior change specialist is a particular certification. It reminds me of the chapters in the health coach certification about how to change habits and create stronger healthier ones. We are all capable of doing great things. Sometimes we get stuck in a rut or in a bad habit that doesn’t let us reach our health goals or live life to its potential. It’s well-known, habits are hard to break. As personal trainers, part of our job is to motivate and teach good habits to our clients. The only problem is we were never trained how to instruct our clients to build new habits. This is where the behavior change specialist comes into play. In the end, you will be an expert in coaching good behaviors and have an arsenal of tactics to kill old counterproductive habits. You will help build healthy behaviors in regards to getting more exercise, eating clean or and making overall healthy choices. How much does the behavior change certification cost? Currently, there are two different prices for the behavior change specialist program. The e-book plus hardcopy version costs $534. The e-book only option costs $499. Most trainers can get fantastic use out of the behavior change program. As personal trainers, we know that our clients CES as mentors already. Might clients of personal training turned towards me for all kinds of lifestyle (and other) advice. The only problem is most people are not qualified to give lifestyle advice. Or at least they do not have the tools efficiently and effectively do so. Whether you are training athletes, obese clients, kids or seniors, the behavior change certification can be helpful. The matter who you are, there’s always some habit you can switch out for a better one. If you have already gone through a health coach certification, you might consider skipping over this because there is a lot of duplicate content through both of them. Did you know that approximately 75% of all children do not reach their recommended levels of daily physical activity? With the increase in movies, shows, video games and cellular devices, our children are becoming more and more sedentary. Overweight and obesity rates have been going up for the past few decades and show no sign of slowing down. On top of this, physical education in schools is at an all-time low. The ACE, you fitness specialist, is designed towards helping kids and youth get the exercise they need through training principles that apply to them. This helps children build healthy habits towards physical activity so that they can take these principles and knowledge into adulthood. How much does the youth specialist program cost? The e-book and hardcopy version of the youth fitness program costs $480. The e-book only option costs $399. This program is fantastic for people that work with teenagers and kids primarily. I would say that this is not the majority of personal trainers, there is a market for youth personal training in some cities. If you are like most personal trainers and primarily work with adults and seniors, this certification might not be the one to choose. As personal trainers, practically 100% of us have given nutrition advice to his clients at one time or another. And if you haven’t, I don’t believe. Sure, as fitness enthusiasts we have read tons of stuff on nutrition. This still doesn’t give us the essential qualifications we would need to provide this nutrition advice to our clients. The fitness nutrition certification from ACE combines nutrition advice with behavior change advice into one unique certification. It reminds me of portions of their health coach certification as well. Nutrition is the other half of an overall successful fitness program. If your client is extremely motivated in this splendid the gym, but they go home and eat pizza and cake and doughnuts all day, they won’t see the results that they should. With a fitness nutrition specialist program, you will tie and both ends of the spectrum and be a much more rounded personal trainer. This also gives personal trainers an opportunity to sell an additional service. The personal trainers that are financially the most successful are very good at marketing their nutrition services as an additional service to pay for. This can significantly help personal trainers become financially successful. How much does the ACE fitness nutrition specialist program cost? The e-book and hard copy version cost $449. The e-book only version costs $374. The fitness nutrition specialist program is perfect for any personal trainer that needs to up their knowledge on fitness nutrition and how it combines with exercise. This is for any personal trainer that would like to sell an additional service to their existing personal training clients. This is a fantastic way to earn more money. This certification is not for personal trainers who already have a strong background in nutrition and diet. This goes for nutritionists or registered dietitians. 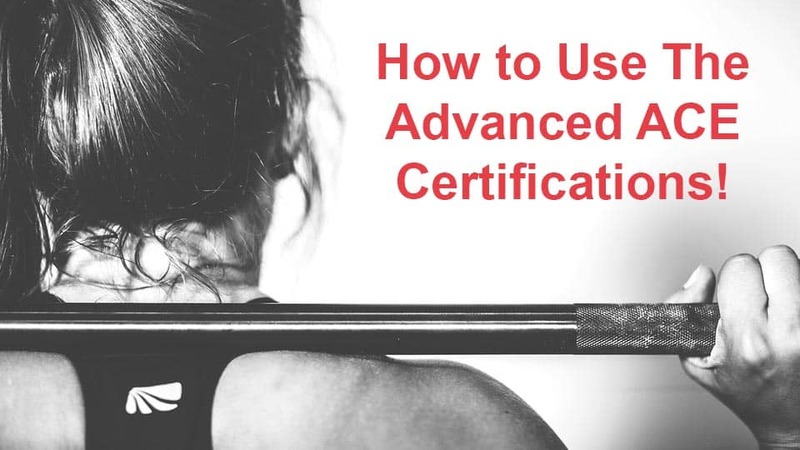 These ACE advanced specialization certifications can be beneficial in the advancement of your personal training career. We are living in a world where everybody specializes in one way or another. Think about it this way, if you were sick and had to go to the doctor, would you instead go to a specialist or a general doctor? If you have something wrong with your heart, would you instead go to a cardiologist or a general doctor? Specializing in one area or another can make you stand out from the rest of the personal trainers with general CPT certifications. No matter which general CPT you possess, your knowledge with specialization training in addition to a general CPT, is always more valuable. It lets you market your specific skills and charge more because of this specialized knowledge that you hold. You need to take advantage of this, market your skill sets and make more money as a personal trainer. You can make two separate price categories for people interested in your training services. You can do general personal training priced packages as well as specialized training from your knowledge of ACE specializations or other advanced certifications. Well, that’s about it for my article on the best ACE certifications. I hope I helped you break down each certification and that you’re better able to understand which advanced accreditation is right for you. 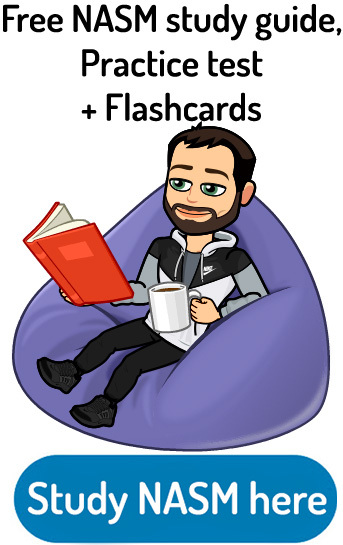 If you are looking for continuing education credits for ACE, NASM, ISSA, ACSM, NSCA or others, any one of these advanced certifications will serve you very well compared to purchasing the bare minimum continuing education. Specializing as a personal trainer can open up doors to the clientele that you did not have before. It can also open up doors that let you be financially more successful. Overall I think that ACE has an excellent array of personal training certifications that you can specialize. 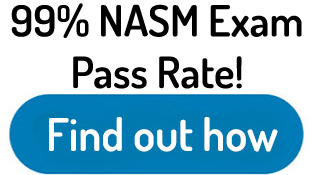 If you are looking to specialize in sports specific training or strength and conditioning, I recommend checking out the NASM PES certification. So which ACE certification are you going to choose on your journey as a personal trainer? What do you want to specialize in? What type of clients do you want to work in the future? How can you better help your current clients reach their goals through specializing? 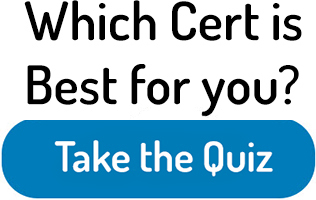 Leave me a comment down below so we can start a conversation about advanced certifications!